Arena da Baixada is the first venue in the country to receive the integrated system, with 220 TV sets and a single content control center. 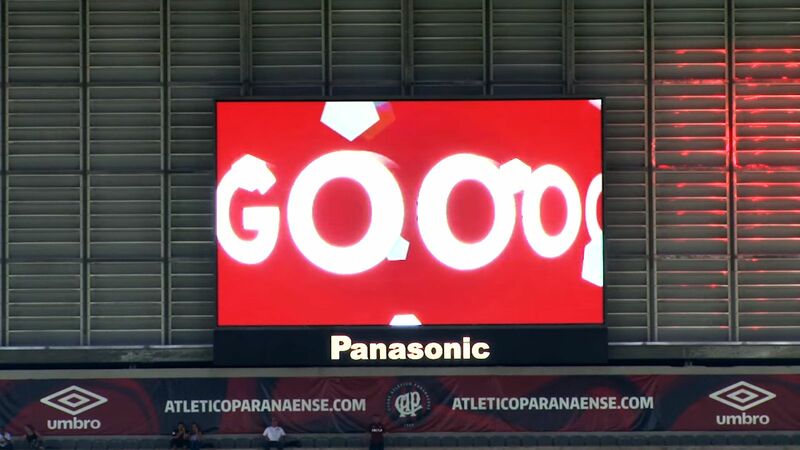 Panasonic Brazil installed the first* digital signage system called Digital Media Center consisting of 220 sets of Viera TV and signage server in the country at Arena da Baixada, giving fans full visibility of what happens on the field. The stadium hosted some of the games of the 2014 FIFA World Cup. 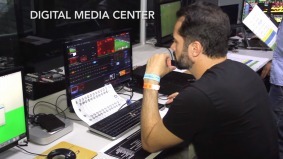 The Digital Media Center is a hub for integrated content distribution enabling control of what is shown on every TV set spread across the stadium. 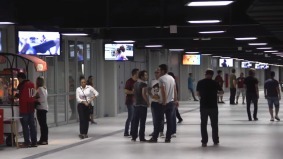 The system ensures that visitors see the images or videos of games or concerts even when they are not on the bleachers. The system by full IP control, developed especially for the Arena, offers good cost-benefit, with high-quality image and durability. "The Digital Media Center has several uses and may be adapted to client needs. Hence, it adds value to the content where it is installed, making it more interactive with visitors," said Francisco Pereira, System Solution Manager at Panasonic Brazil. Since 2014, the stadium has 77 sq. meters of 2 large LED screens at each end of the venue, installed by Panasonic. Arena da Baixada is located in Curitiba, Paraná state, and is the home of Clube Atlético Paranaense, one of the most traditional soccer teams in Brazil. The stadium was revitalized in 2014, when it hosted World Cup games, and has been sponsored by Panasonic since the tournament. 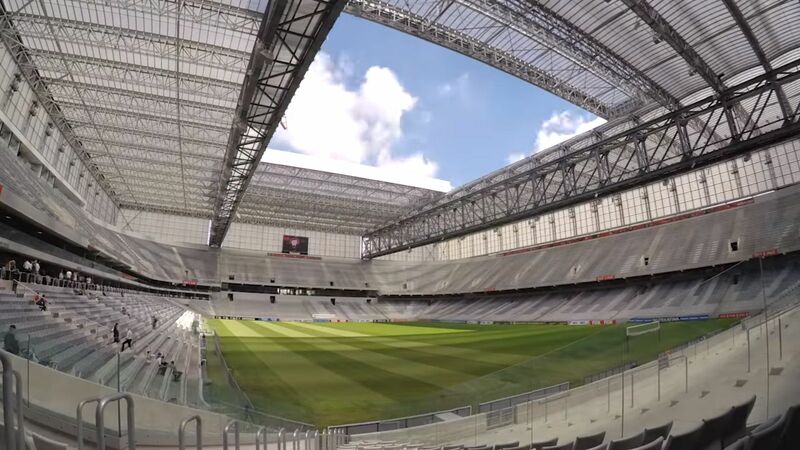 It is the first stadium in Latin America with a retractable roof. Panasonic is a global leader in the development and creation of electronic solutions and technologies for residential and non-residential customers. The company has three manufacturing plants in Brazil. In addition to producing TV sets, household appliances, cameras and batteries, the company sells in the country imported products, such as cameras, personal care devices, broadcast and security systems, etc. Aiming to create a better life and a better world for its customers, the company is constantly innovating and offering products and services that provide a better quality of life. Lower energy consumption, lower carbon emissions and support to environment-friendly actions are some of Panasonic's public commitments. To learn more about the company in Brazil, please visit www.panasonic.com/br. 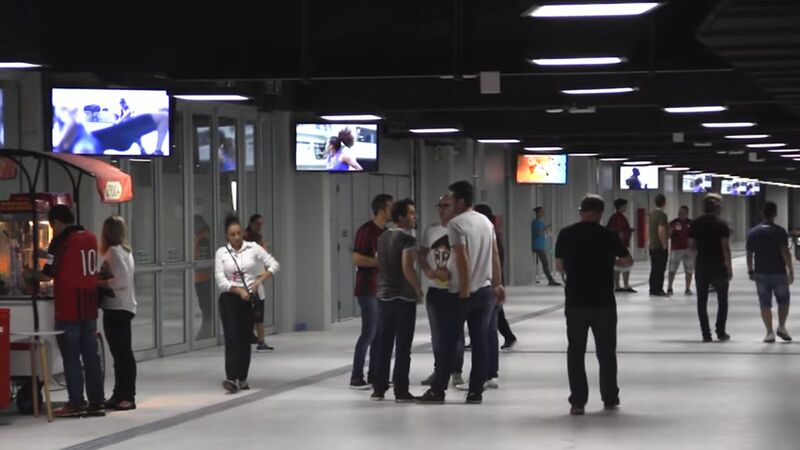 The Digital Media Center, a hub for integrated content distribution enabling control of what is shown on every TV set spread across the stadium. Panasonic placed two 77m² LED screens in the ends of the stadium. 160 Viera 50" TVs and 60 Viera 42" TVs are distributed throughout the stadium sectors.